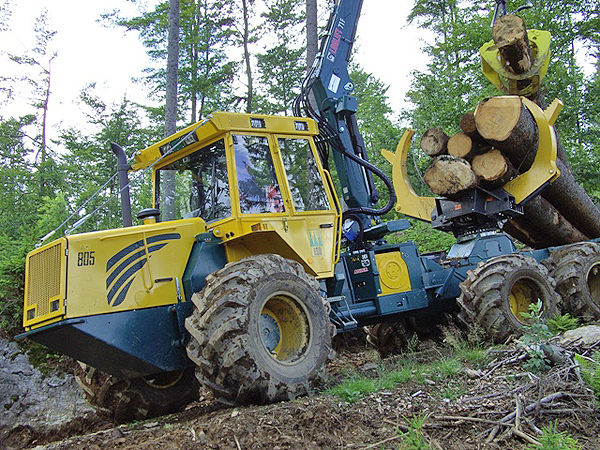 HSM combination forwarders are available in various performance categories and versions. Our combination machines are distinguished by the wide scope of applications. 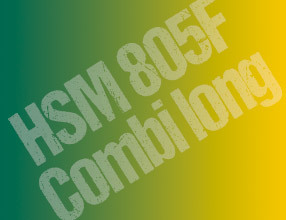 The HSM 805F Combi long is the most compact in this design series and features a powerful 4-cylinder engine, innovative drive concept and intelligent stanchion structure. The comparatively lightweight machine with its 6 wheel concept offers a high level of protection to help care for the ground and harvested product. 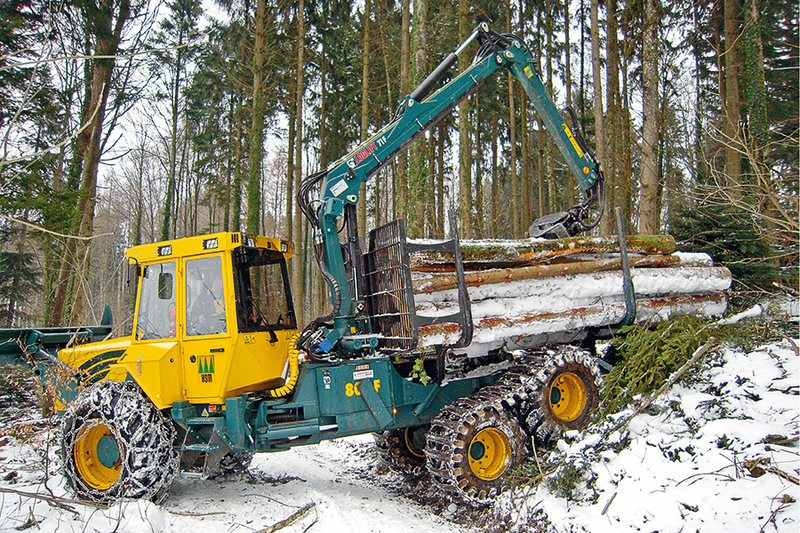 Despite its long crane reach, it is stable and can easily negotiate difficult terrain. 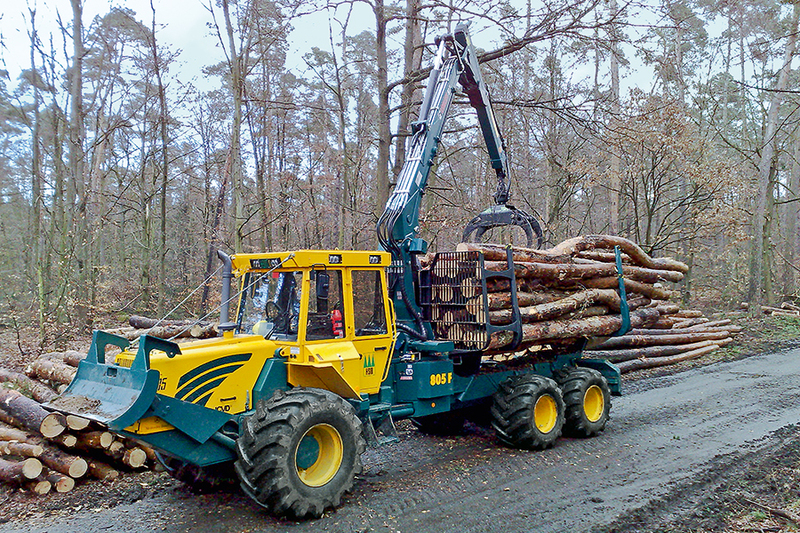 Timber harvesting measures with different types of material or lifting operations at various locations can be performed extremely efficiently and with the highest level of work quality.